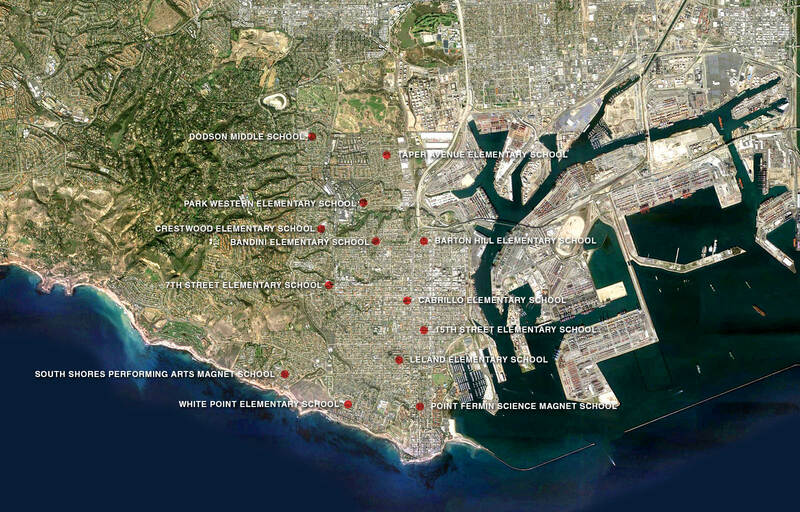 Since 2010, Johnson Fain has been providing the Los Angeles Unified School District with master planning services for six of their complexes. Existing school facilities have not been able to keep up with the latest technology and maintenance. Measure Q was passed and provides $8 Billion in bonds to Modernize and Upgrade existing LAUSD facilities to the same standards as the new schools. 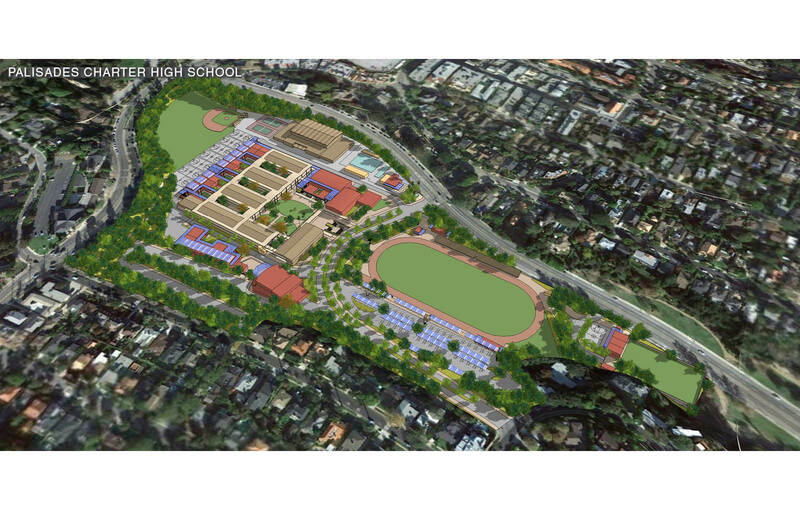 Our task has been to provide a long term vision for the school campuses, looking historically at the original intentions of the school, to improve the organization of activity zones, and maintain a clear physical structure for the campus. 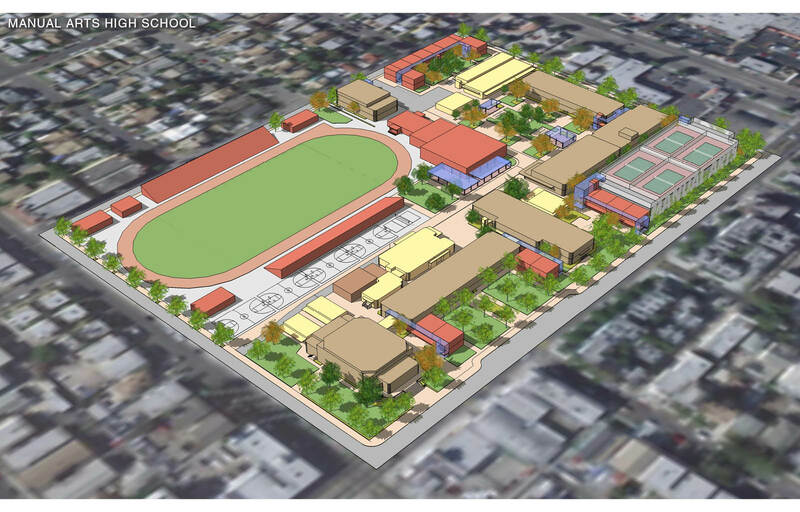 These Master Plans improve existing conditions, and contribute to a sense of place, replacing portable classrooms with flexible permanent facilities to the extent possible, and expanding the Core Facilities if necessary to bring each campus to the current District Standards. 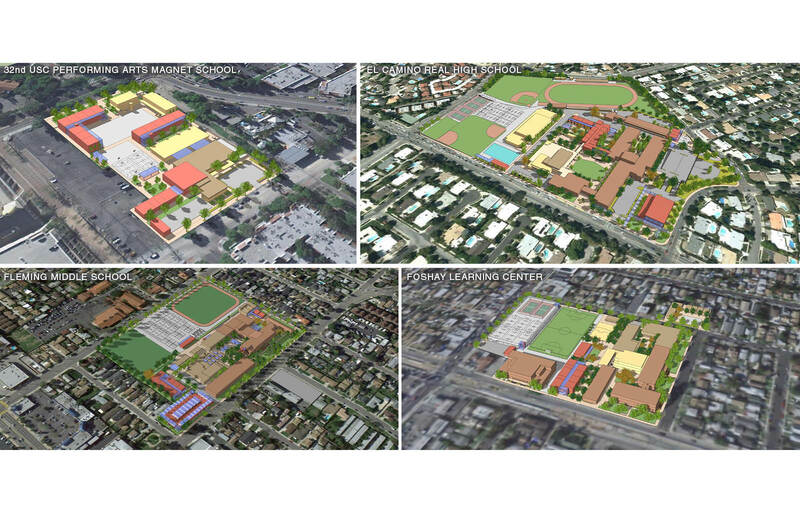 This also includes improving pedestrian circulation and accessibility, improving parking on-site and removing parking overload from neighborhood streets if possible, while also looking for Joint-Use opportunities to promote use of facilities by the Community. 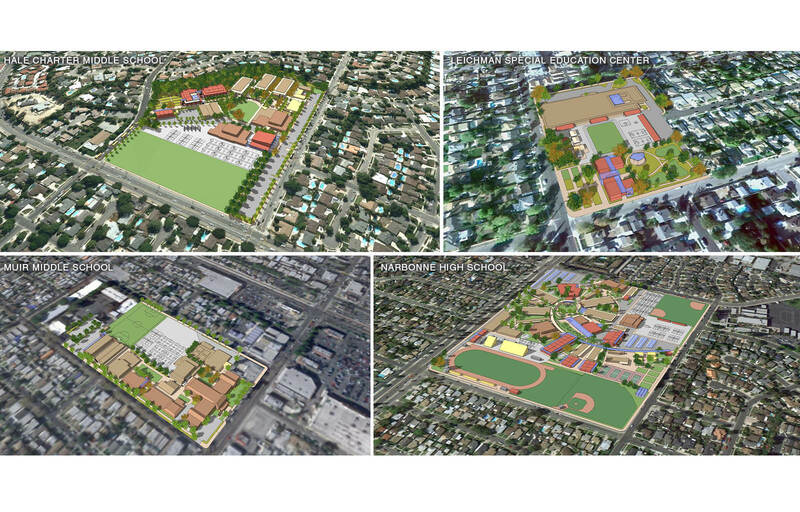 Finally, each plan tries to incorporate the principles of sustainability into each Master Plan. The plans examined site utilization, building adjacencies, removal of portables, storm water management, reduction of energy consumption, on-site alternative energy production, water consumption efficiency, waste treatment facilities, heat island reduction, architectural and landscape enhancements, new technologies, Small Learning Communities (SLC), space for mobile health clinics, and CHPS compliance. 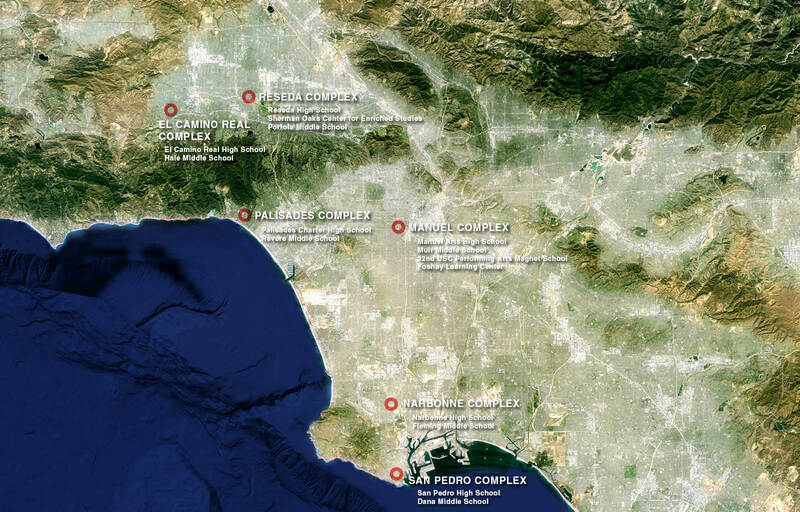 The six LAUSD complexes are: San Pedro (San Pedro High School & Dana Middle School), Reseda (Reseda High School, Sherman Oaks Center for Enriched Studies, Portola Middle School), Manual Arts (Manual Arts High School, Muir Middle School, 32nd USC Performing Arts Magnet School, and the Foshay Learning Center), El Camino Real (El Camino Real High School & Hale Middle School), Palisades (Palisades Charter High School & Revere Middle School), and Narbonne (Narbonne High School & Fleming Middle School). 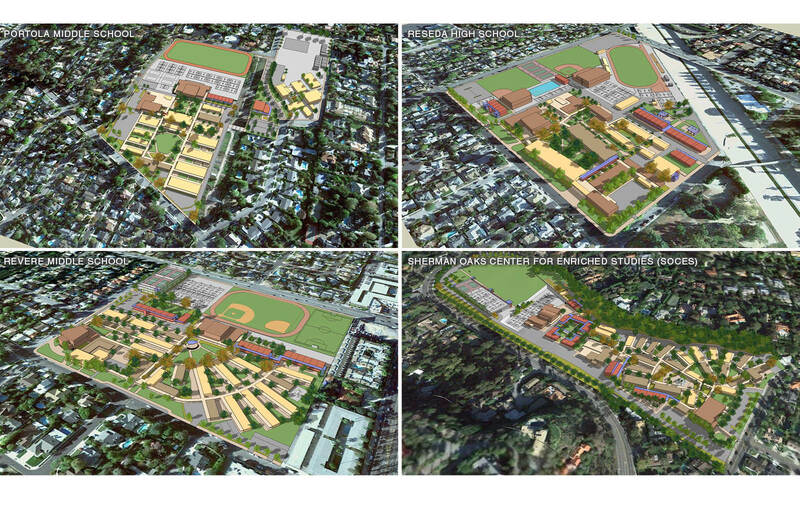 Johnson Fain also completed master plan updates for: Dodson Middle School, Crestwood Elementary School, Leland Elementary School, Park Western Elementary School, 5th Street Elementary School, Point Fermin Science Magnet School, 7th Street Elementary School, South Shores Performing Arts Magnet School, Bandini Elementary School, Taper Elementary School, Barton Hill Elementary School, White Point Elementary School, and Cabrillo Elementary School. 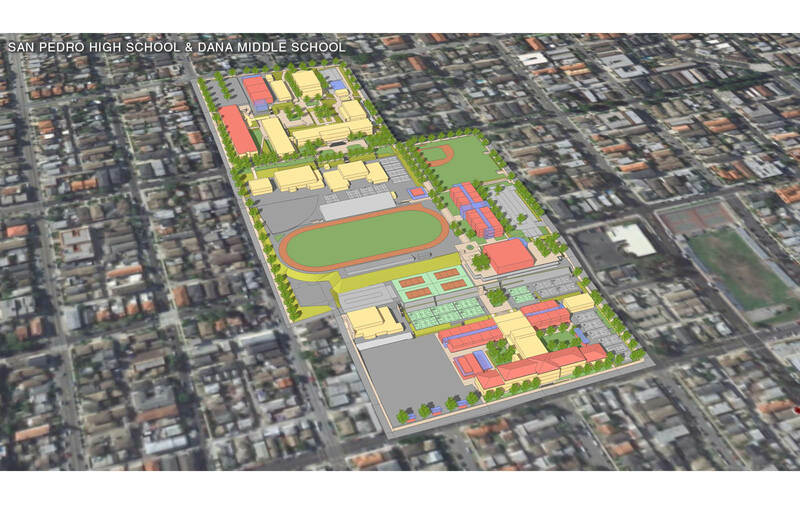 Additional master plan updates for the following schools: Dodson Middle School, Crestwood Elementary School, Leland Elementary School, Park Western Elementary School, 5th Street Elementary School, Point Fermin Science Magnet School, 7th Street Elementary School, South Shores Performing Arts Magnet School, Bandini Elementary School, Taper Elementary School, Barton Hill Elementary School, White Point Elementary School, and Cabrillo Elementary School.